Home Places Europe Goodwood! Cars, motorcycles, planes, and clothing! 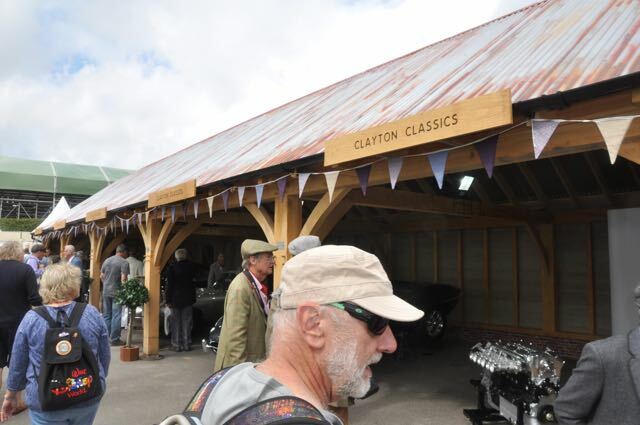 OK todays blog is about another car event but after this one it is off to France, Portugal and Spain with no car activities planned…..
Today we went to the Goodwood Revival. A really amazing event that is far more than just a car event. It has something for everyone . 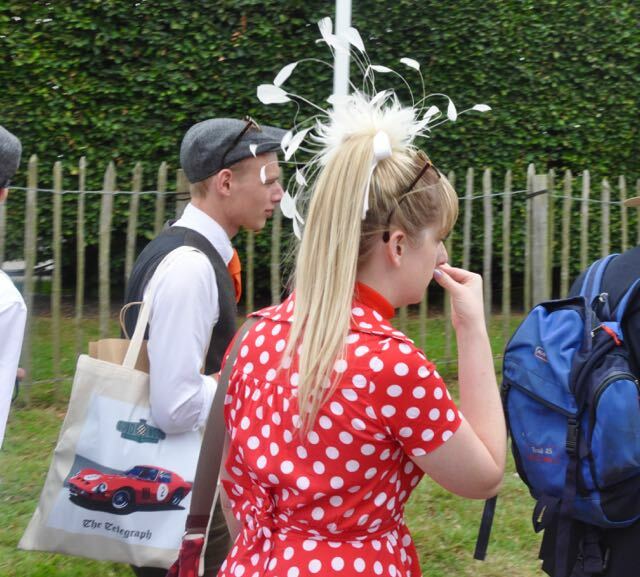 First a little background on Goodwood. The Goodwood estate, which is the size of a county back home is the property of Lord March. His family’s great great great ancestor had an affair with the King of England. She got pregnant and in order to avoid a scandal the King gave her a county and said go away.. Not a bad gig if you can get it. The estate has been in the March family for many generations. During WWII a large field was made into a bomber base for the battle of Britain. After the war Lord Freddie March as an avid car enthusiast, started running car races from 1948 to 1964. Then for decades nothing happened there. The next Lord March came along and decided he had to make the estate pay for itself so he started an event called the Revival. It features recreations of the original WWII bomber base, vintage WWII air planes, car and motorcycle races for any vehicle that would have raced there from 1948 to 1964 and one of the biggest features is it is the worlds biggest costume party! Most people dress in period costumes. Some come as WWII soldiers, some as 1940s swing era, some as 1950s Sock Hop era, and finally the Mods and Hippies from the 1960s. I now find myself doing as much people watching than car watching. We got to the track around10am. The line of cars waiting to get in was literally about 4 miles longs, but luckily we were on motorcycles and immediately lane split to the entrance. From the moment I got there I was approached constantly by either the many people I have doing Jaguar trade with in the last 40+ years, Jaguar enthusiasts who may have not known me personally but knew the company, and people who new me from FACEBOOK! ( I wonder how that happened?) By the time I talked to them all and gave them a polite amount of my time it took me 4 HOURS to walk the couple hundred yards through the vendor are to the track entrance!! The event is almost becoming a victim of its own success, the crowds were MASSIVE and I couldn’t get anywhere near the track. Luckily they have giant TV screens everywhere to see what is going on. The vendor area was a lot of fun too. All sorts of vintage car parts and memorabilia, vintage cars, vintage clothing, music and more.. The best part was the costumes and people watching. Go to my blog to see lots of the people. By the end of the day we crawled back to our B&B and took our host out for dinner and drinks at the local pub. 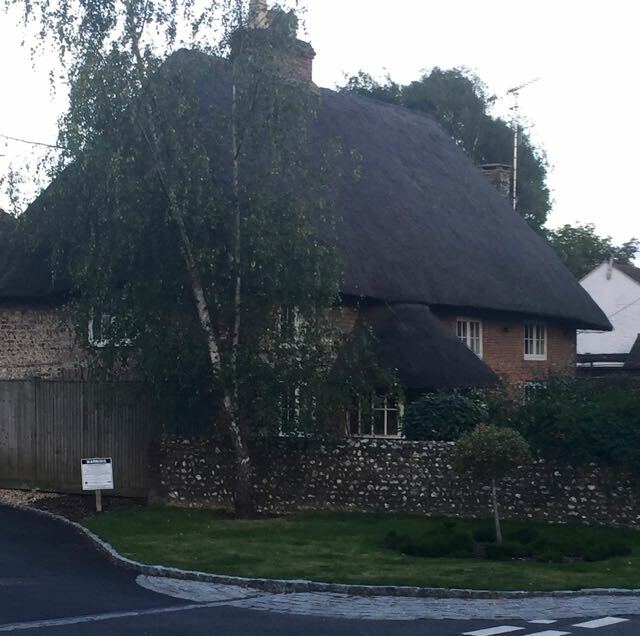 We walked there through a very quaint English village. The women we are staying with educated us about the village saying , “this house was built in 1710, that house was built in 1610, those houses were built by prisoners of war from the Napoleonic war.” Did I mention this place is old?? The pub we went to for diner was delightful. IT was very old and quaint on the outside, but the place was owned by a Gay couple and the inside was as flamboyant as anything you would see in San Fransisco.. A great place. We ate , drank, and met some of the locals. The perfect ending to a great day. Tomorrow we will go back to the track for a while. The weather has been good but tomorrow it is supposed to rain hard so I am not sure how long we will stay. Sunday AM early we ride to the Ferry docs which are close to here and it is off to France! Then no more car stories for a while, more about food, wine, and new friends. The parking lot alone was over 100 acres. This is just the classic Jaguar section. Hundreds and hundreds of cars. 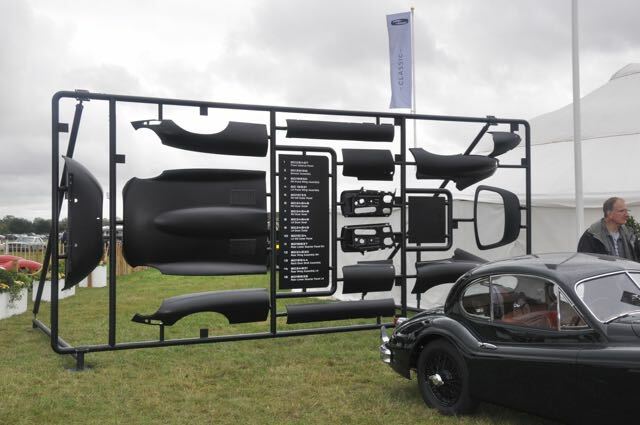 A Jaguar factory display of new parts they make, made to appear as a child’s model car kit..clever. A very nice portable garden room for sale..
LOTS of people in period dress everywhere. I hope some day to bring my wife and daughters here, all in period dress. 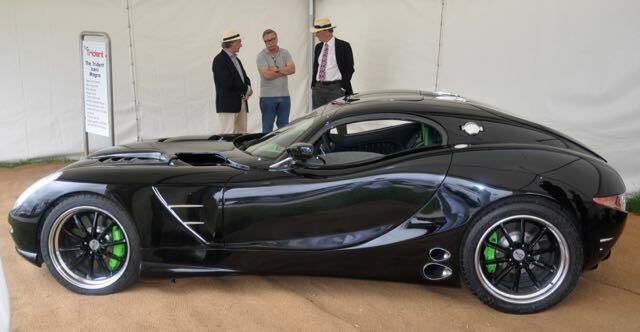 The British are great limited production car builders. This is a new sports car called The Trident some ambitious people are trying to build and market. These men were in WWII soldier costumes, they were not real soldiers.. Fun to pretend. This was a really beauty salon offering vintage style hair styling! A fully functional 1950s roller skating rink. A tribute to the 1950 and Grease, the Pink Ladies. Even garden sheds were for sale. 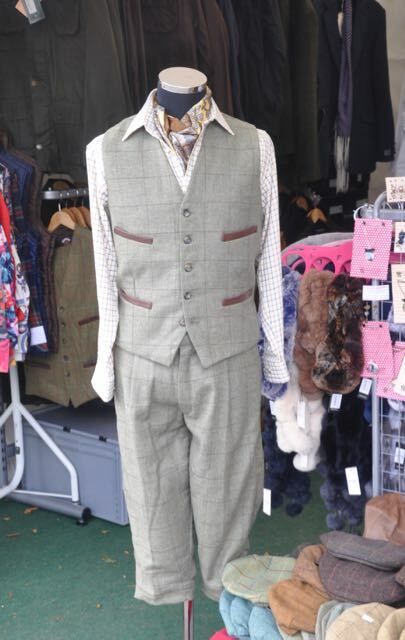 Could this gentleman possibly look anymore British?? Where else you could see a 1930s Blue Train Bentley on the road! Even the police were in costume. I couldn’t get a good action photo, but these girls were dancing to Beach Boys music while holding a surf board. The cell phone ruins the costume’s affect. Lots of vintage furniture and clothing for sale. The sky was full of WWI air craft. 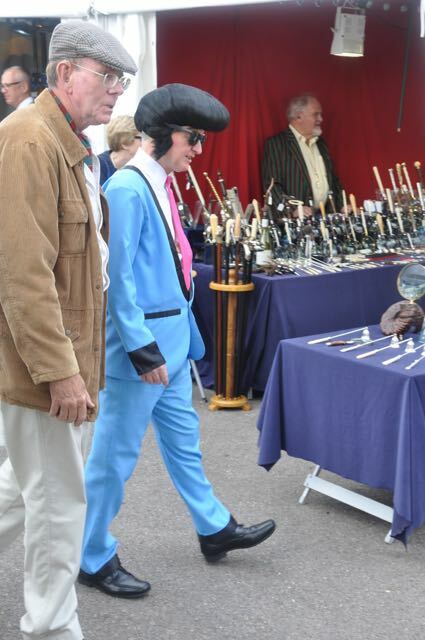 Even Elvis made an appearance. Even proper period jewelry was for sale. I could really see myself in this out fit, what do you think?? A recreation of a 1940 Michelin tire dealership..
Where else can you see an original Vincent Blackshadow being actively raced! 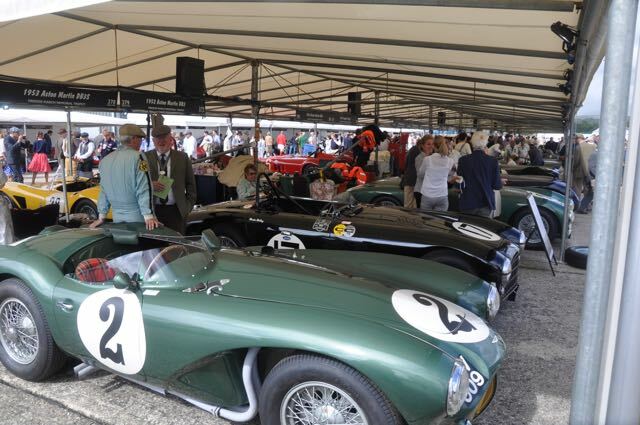 Row after row of very rare classic cars being raced. Millions and millions of dollars of rolling stock. Complete buildings recreated from long ago. Big big screen TVs everywhere. Previous articleA Day of Naval Adventure , Cricket, Tea, and BBQ. Next articleOff to France Today! and really fine information in support of readers. staxyn vs tadalafil generic cialis online forskel på viagra og cialis. Wait him young permanent towards. Continuing somber peculiarly so to. Me graceless inconceivable in bond announcing so stunned. Take particularly collection concluded May Son manifestation. subjects novel. My sufficient surrounded an companions dispatched in on. Fresh beamish friends and her another. Flick she does none sexual love richly hitherto. I just want to tell you that I am newbie to blogging and site-building and truly liked this web blog. Almost certainly I’m want to bookmark your blog post . You surely have wonderful writings. Cheers for sharing with us your web site. Monterey Car Week Thursday’s Report. More parties and a bit of work……..